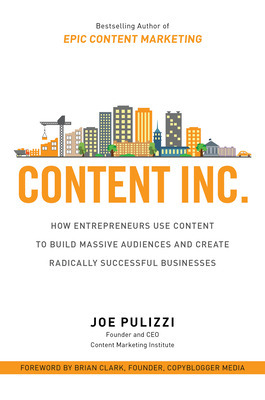 Excerpt from Content Inc.: How Entrepreneurs Use Content to Build Massive Audiences and Create Radically Successful Businesses by Joe Pulizzi. In my experience working with hundreds of businesses, and the dozens of interviews associated with this book, weve found that there are six distinct steps to the Content Inc. model. Simply put, the entrepreneur needs to uncover a content area that the business model will be based around. To make this happen, we need to identify a sweet spot that will attract an audience over time. This sweet spot is the intersection of a knowledge or skill set (something the entrepreneur or business has a competency in) and a passion area (something the entrepreneur or business feels is of great value to he or she personally or to society at large). For example, Andy Schneider has built an entire business around his celebrity persona, the Chicken Whisperer. Andys knowledge area is backyard poultry. To put it mildly, Andy knows more about raising chickens in a backyard than just about anyone else on the planet. At the same time, Andy has a passion for teaching. Andy loves helping his friends with their backyard chicken-raising whenever he can. Once the sweet spot is identified, the entrepreneur needs to determine the tilt, or the differentiation factor, to find an area of little to no competition. Claus Pilgaard is one of the most well-known celebrity figures in Denmark, all because of the extraordinary way he talks about chili peppers. Clauss YouTube videos have garnered millions of views, including one where Claus conducts the Danish National Chamber Orchestra playing Tango Jalousie while eating the worlds hottest chili peppers. That video alone (http://cmi.media/CI-ChiliKlaus) has seen more than 3 million views (note that this is more than half the population of Denmark). I was actually sitting there in this little summer house getting a little bored and I had my camera with me and thought, What if you talked about chili peppers in the same way as you were told about raising wine? You talk about all the different kinds of tastes, not about the alcohol but what it tastes like. Is it coffee, or is it food? What is it? So instead of telling about how hot these peppers were, I was getting around the peppers and talking about the different varieties. And then my body started to tell another story [while eating the peppers]. Maybe thats why they [the videos] became so popular. Claus always had a passion for chili peppers, but it wasnt until he started telling a different story around taste that the business model grew legs. The tasting addition to the sweet spot (what we call the tilt) is what made the difference. Once the sweet spot is found and the tilt occurs, a platform is chosen and a content base is constructed. This is exactly like building a house. Before we get into all the paint and fixtures and flooring options, we have to plan and install the foundation. This is done by consistently generating valuable content through one key channel (a blog, a podcast, YouTube, etc.). Today, Content Marketing Institute (CMI) offers a print magazine, research papers, podcasts, ongoing workshops, and more . . . but for the first four years, it was just a blog. The blog became the core channel that initially drew in the original audience. The blog originally started as just me, blogging approximately three times per week. In 2010, we opened up the blog to additional contributors at five times per week. In 2011, the blog went daily, even on weekends. Not until success was found in the blog (the platform) did CMI diversify to other channels. After the platform is chosen and the content base is built, the opportunity presents itself to increase the audience and convert one-time readers into ongoing subscribers. This is where we leverage social media as key distribution tools and take search engine optimization seriously. At this point, our job is not just to increase web traffic. By itself, web traffic is a meaningless metric. Our goal is to increase traffic to increase the opportunity to acquire an audience. We were arguably late to the game, because by the time we launched SME [Social Media Examiner] there were thousands of other blogs that were dedicated to social, but I saw that as marketplace justification more than anything else. But I didnt doubt once I began, because I knew how to track metrics; I knew what mattered. I knew email acquisition was the key metric and I had decided that we werent going to promote (meaning sell) anything until we had at least 10,000 email subscribers. And we got to that number so quickly that I knew we were really onto something.
. . . last year we had 15 million unique people visit SME. We have 340,000 people that we email every single day. We currently publish 810 original articles every single week. The critical acknowledgment for this area: while there are many metrics to analyze content success, the number one metric is the subscriber. Its almost impossible to monetize and grow your audience without first getting the reader to take action and actually subscribe to your content. Once the model has built a strong, loyal, and growing audience, its time to diversify from the main content stream. Think of the model like an octopus, with each content channel being one of the eight arms. How many of those arms can we wrap our readers in to keep them close to us (and coming back for more)? ESPN, originally started as a sports-only cable television station in 1979, began with a $9,000 investment by Bill and Scott Rasmussen. Now, almost 40 years later, ESPN is the worlds most profitable media brand with operating earnings of more than $4 billion according to Forbes.com. For 13 years, ESPN directed its attention on only one channel for 100 percent of its audience-building focuscable television. Then, starting in 1992, the floodgates opened on diversification, first with the launch of ESPN radio. Then ESPN.com (originally called ESPN SportsZone) launched in 1995, followed three years later by ESPN the Magazine. Today, ESPN has a property in almost every channel available on the planet, from Twitter to podcasts to documentaries. Even though the channels were limited in the 1980s and 1990s (compared with today), ESPN didnt diversify until the core platform (cable television) was successful. Its time. Youve identified your sweet spot. Youve tilted to find an area of content noncompetition. Youve selected the platform and built the base. 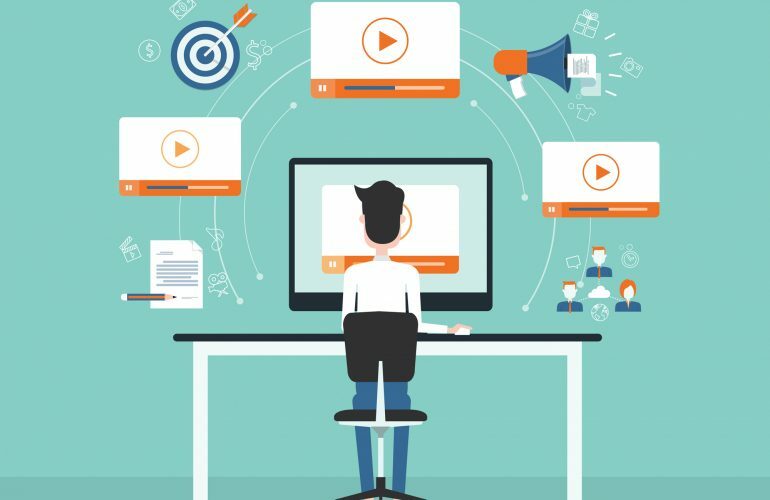 Youve started to build subscribers, and youve even begun to launch content on additional platforms. Now is when the model monetizes against the platform. By this time, you are armed with enough subscriber information (both qualitative and quantitative) that a multitude of opportunities will present themselves to generate revenue. This could be consulting or software or events or more. Rand Fishkin, CEO of Moz (originally called SEOMoz), started his blog on search engine optimization insights back in 2004. In less than five years, Moz had over 100,000 e-mail subscribers. Rand originally monetized the audience through consulting services, but in 2007, Moz launched a beta subscription service for software tools and reports. By 2009, Moz closed the consulting business entirely and focused on selling software to its audience. The best part? Rands success looks amazingly unusual, but it isnt.The more Ive researched this, the more Ive found that these are typical numbers for a Content Inc.based business. The key is following the six steps as outlined above and being patient enough for the model to work. 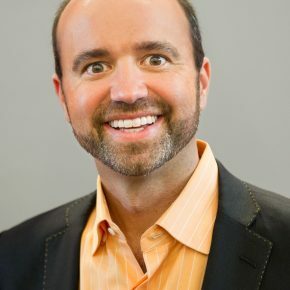 Joe Pulizzi is an entrepreneur, speaker, author, and podcaster. He’s the founder of multiple startups, including the Content Marketing Institute (CMI), the leading content marketing educational resource for enterprise brands, recognized as the fastest growing business media company by Inc. magazine in 2014 and 2015.